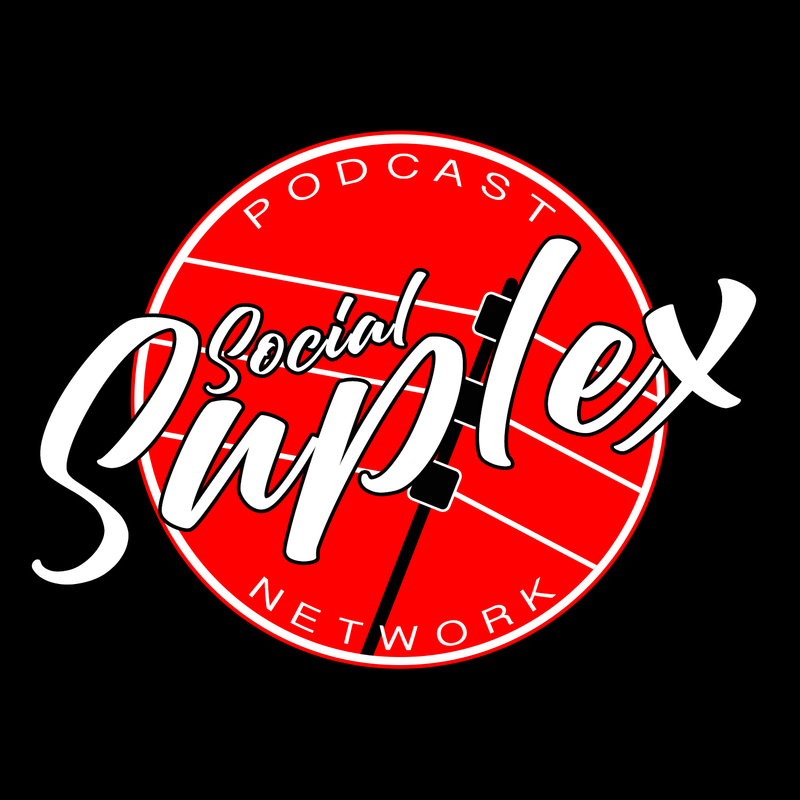 The final 205 Live before WrestleMania 35 has arrived, and the Cruiserweight Championship will be the focal point of this week’s show. This Sunday, Tony Nese faces former training partner, Buddy Murphy at the Show of Shows with the title on the line. General Manager Drake Maverick opens the show with a hype video for the match. Tonight’s episode of 205 Live will see the final interaction between the two. Elsewhere on the show, Kalisto will take on Oney Lorcan in a “first time ever” match-up. The main event will be a rematch between Akira Tozawa and Mike Kanellis. With Maria Kanellis affording her husband a distraction assisted victory over Tozawa last time around, Brian Kendrick will even things up outside the ring to negate any unfair advantage. Vic Joseph, Nigel McGuinness, and Aiden English are the announcers, as ever, for tonight’s show. In what seems to be a new feature going forward, the Lucha House Party rev up the crowd by announcing “Lucha Time” on the microphone. There is nothing wrong with this, per se, but I’ve seen enough of Lucha House Party to know I’m not in a rush to hear more from them either. Here’s hoping Oney Lorcan is in the mood to be a Party pooper for this match! With Lorcan now in the ring, the match is under way. Lorcan wastes no time in attacking Kalisto, who is still placing Penelope the Pinata down on the apron. A viscous European uppercut knocks Kalisto out of his boots before the bell has even rung. Lorcan follows up with a chest chop and a fisherman’s suplex pin. The referee only counts to one, but Lorcan is full of energy. Already I am excited about the fresh dynamic Lorcan will bring to the Cruiserweight Division. Kalisto counters a half and half suplex with a roll-up pin. This allows him some luchador offense. Admittedly, he stumbles on the top rope and, shortly after, Lorcan punishes him. He throws Kalisto around the outside of the ring. Lorcan’s natural state of rage is palpable. After swinging Kalisto back into the ring, Kalisto pivots round with a kick to Lorcan’s head outside. This only seems to incense Lorcan further. He rushes in to inflict further punishment on Kalisto with a bear hug, more chest chops, and Irish whip asissted knees to the gut. The camera cuts to backstage where Buddy Murphy is walking around. He looks apprehensive, as if looking over his shoulder. He narrowly avoids an altercation with some local talent and walks on. More to follow…! Back to the match, and Lorcan has a chin lock applied on Kalisto. The luchador fights through the hold, but is hauled back down to the mat. Lorcan’s tenacity is proving too much for Kalisto. He eventually fights his way free. He avoids a wild swing from Lorcan, and pirouettes off the ropes to take Lorcan down. He looks to enact a similar move. Lorcan, however, is ready in waiting. He grabs Kalisto and delivers a half and half suplex. Miraculously, Kalisto lands on his feet, but stumbles towards the turnbuckle for a breather. Kalisto gets in some offense, and preps the crowd for the Solido del Sol. A European uppercut from Lorcan stops him in his tracks. The pair find themselves struggling to gain an upper hand on the apron now. Kalisto wins the exchange, scaling the turnbuckle with Lorcan’s head in tow. A Solido del Sol onto the apron wipes Lorcan out. A lovely move! It might be an overused trope these days, but the variety with which a high impact apron spot is given makes for a wince inducing moment almost every time. Great work. After an unsuccessful pin attempt by Kalisto, Lorcan hunts him down as he climbs the ropes. An avalanche half and half is on Lorcan’s mind. Kalisto elbows him off and onto the mat. Kalisto goes for the 450 splash, but Lorcan’s knees are up. Lorcan surveys the damage. He hauls Kalisto to his feet. 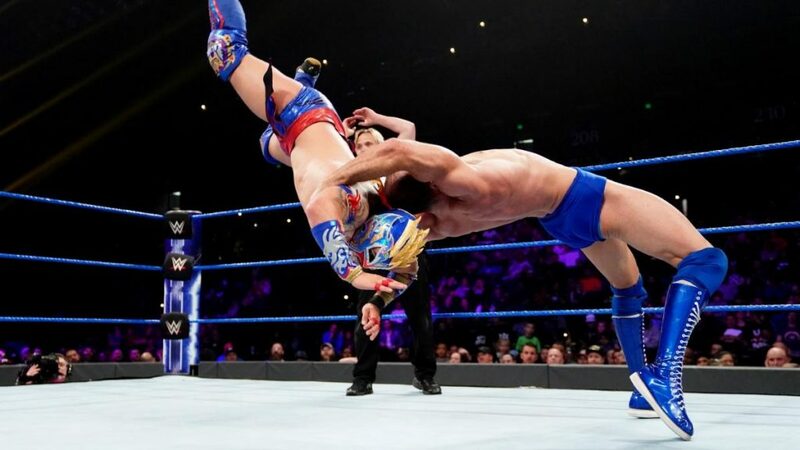 Finally locking in the half and half suplex, Kalisto swings through the air with an impressively high wide trajectory. Lorcan hooks the leg, and wins with ease. This match had the occasional botch dotted throughout. Kalisto shoulders the blame for these alone, however. Lorcan, in contrast, was flawless in his display, putting on another great display of brute strength and relentless offense. Long may it continue. Drake Maverick is backstage. Cedric Alexander approaches from the side. He asks why he didn’t get a match with Oney Lorcan. Maverick takes into account Alexander’s two losses in a row. He believes Alexander needs some time off to rest up. He sees a great Alexander vs Lorcan match in the future, but needs Alexander at 100%. Alexander acquiesces, and walks off. Everybody’s favourite Cruiserweight Championship challenger, Tony Nese, is talking with Kayla Braxton. Nese says there is no pressure on him. Nobody expects him to win. The pressure is all on Buddy Murphy, as he knows that Nese can beat him. Before he can elaborate, Murphy attacks Nese from behind. The pair brawl around the backstage area. There is nobody there to break them up. 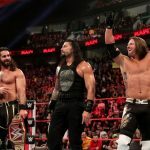 Perhaps they are all still nursing injuries from Monday Night Raw’s parking lot brawl! Nese and Murphy’s fight spills out into the arena. Referees and “security” are finally there to separate the wrestlers. “Let them fight” rings out from the crowd. Murphy knees a security guard. Nese and Murphy lock up again. Murphy finds himself on the floor, and Nese charges in with a knee to the face. Murphy cradles his head, as Nese, in an awesome abs ‘n’ jeans combo, looks determinedly up at the WrestleMania sign. After months of feeling underappreciated, Mike Kanellis finds himself in the main event of 205 Live. It’s been a bumpy road, but his character, along with his wife, have put in good work for some time now. Maria is undoubtedly the more compelling of the double act, however. The shenanigans she brings to the match are, in my opinion, necessary. With Brian Kendrick evening the odds for Akira Tozawa on the outside tonight, this should be fun. 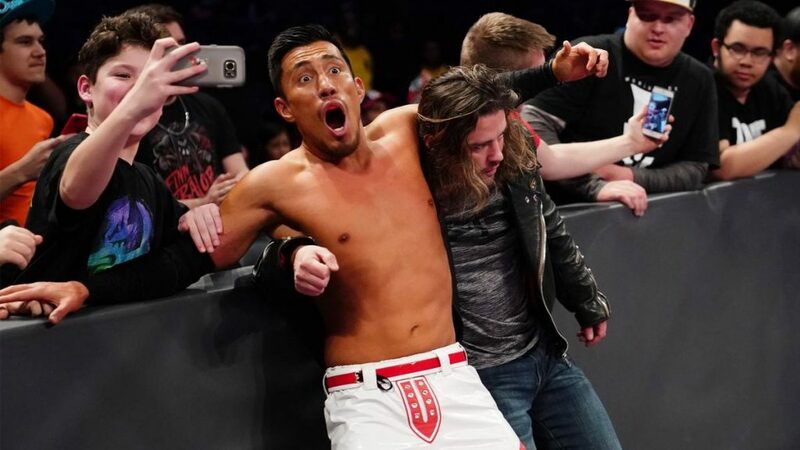 If anything, Tozawa has been on a tear in 2019, putting in some fantastic performances. His confidence as a result shows early in this match. He comes out of the gate with the first attack. Grabbing the ropes is all Mike can do to escape an early submission defeat. After an octopus stretch from Tozawa, the ropes come to Mike’s rescue once again. Tozawa is fired up, ladies and gents! Kanellis blocks a strike with an elbow of his own. He blocks more incoming offense from Tozawa, swinging his proffered leg round and meeting him back around with a powerful clothesline. Kanellis is on top now. He punches Tozawa square on the head under the bottom rope. With a chin lock applied, it’s Tozawa’s turn to grab for the ropes. Kanellis is in control, however. He hits Tozawa with a trifecta of stalling suplexes, no doubt racking up damage upon Tozawa’s back. Tozawa looks to get back into the match. Kanellis runs the ropes, and Tozawa leaps up for a hurricanrana. Kanellis catches him, however, and drops him with a snap powerbomb. Kanellis admires his work and looks for plaudits from his wife. Maria implores him to be aggressive. Tozawa eventually powers out of more chin lock offense. He finally successfully delivers a hurricanrana, launching Kanellis into the turnbuckle. While Maria has offered some vocal support, Brian Kendrick has been quiet throughout. Perhaps his presence alone is a negating factor, ensuring no tomfoolery on Maria’s account takes place. There is still some time left in the match, though. I have no doubt the match will break down into a farce at some point. Kendrick is starting to show some life as Tozawa caws to the crowd. He looks for another ‘rana, but Kanellis nails him with a pop-up spinebuster that Arn Anderson would be proud of. Kanellis’ dominance in this portion of the match doesn’t last long, though. Tozawa twirls around his body and locks in the octopus stretch. Kanellis is in danger. His only option, it seems, is to charge towards and over the top rope. Both men spill to the floor in ugly fashion. Both men will have taken some damage from this, but Tozawa is the one to wear the worst. Kanellis drapes Tozawa over the fan barricade, and drops him with a sickening neckbreaker. Kendrick comes over to check on his friend. Kanellis levels him with a punch to the face before dragging Tozawa’s carcass back into the ring. The pair are on the top rope now. The struggle for purchase of each other. Tozawa avoids further damage by reversing an intended Death Valley driver with a hurricanrana from the top rope. Tozawa looks rocked from the offense he has received in the match, but the adrenaline is surging now. An exchange of strikes and kicks follow, and both men are on the floor. The crowd show their appreciation with long applause. Back on their feet, and Tozawa snaps Kanellis with a German suplex out of nowhere. He climbs the ropes, but Kanellis is back up, knocking Tozawa off. A scramble ensues with Tozawa on the apron. He vaults over Kanellis back into the ring for a sunset flip pin. Kanellis blocks the roll through and pins Tozawa. Maria offers her hands to Mike for extra weight on Tozawa. Kendrick, however, spots the infringement and causes a scene. Maria seems scared, and scurries out of her husband’s grip. Tozawa capitalises and rolls through. The referee counts to three, and Tozawa scores the victory. The scores are even now between these two. Although Kendrick seems to have helped stop the Kanellises gain an unfair advantage, the set piece was unclear. Kendrick seemed to just flail about in protest nearby without actually doing anything. That took away from what could have been a well worked sequence. A strange end to what was a decent match. Of course, a rubber match somewhere down the line is all but certain. That will put to bed any fun and games once and for all. 205 Live closes with what I imagine will be the official pre-match vignette for Buddy Murphy vs Tony Nese at WrestleMania. The video shows Tony Nese’s journey through the Cruiserweight Championship #1 Contender Tournament. A callback is made to the 2016 Cruiserweight Classic. Nese’s journey towards this Sunday has, indeed, been three years in the making. Often seen as a comedy act on 205 Live, these past few months have given us a new Tony Nese. A more focused Tony Nese. I’ve enjoyed Buddy Murphy’s reign as Champion. He’s put on some great defenses. But it’s time for a changing of the guard. It’s time for Nese to put the betrayal by his friend Murphy behind him. It’s time for the Premier Athlete to become the Premier Cruiserweight!